Graco Junior Maxi Car Seat is the lightweight high back booster for your child from 15 to 36kg. 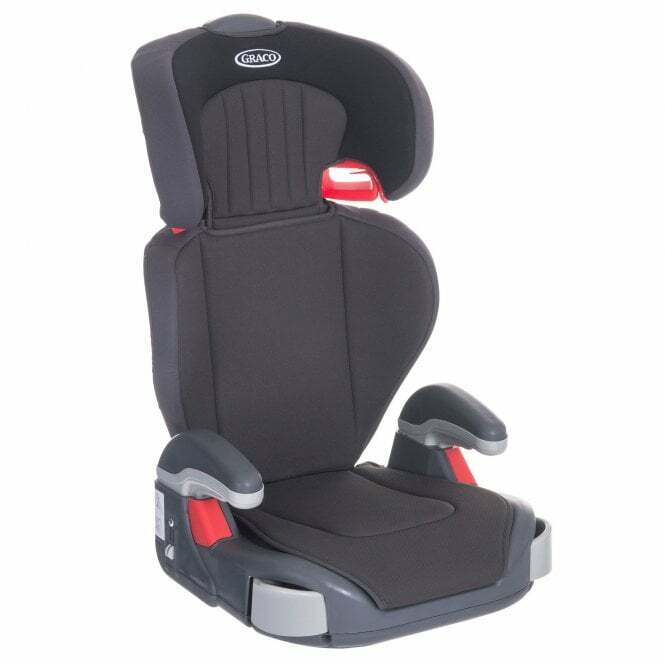 This Group 2/3 Car Seat is perfect for parents on a budget, and offers safety features galore! Why should I choose the Graco Junior Maxi Car Seat? The Graco Junior Maxi Car Seat offers maximum protection with huge benefits for you and your little monster. Transporting your little monster from 15 to 36kg (or 4 to 12 years old). Your little one will love the hideaway cup holders for them to store their bottles in. They can also be used to store all of the goodies they find on the beach, which will probably be discovered 3 months later! You'll absolutely love that this car seat features an adjustable headrest which protects your child from small to tall. It also raises them to the proper height for use of the seat belt - perfect! They can also rest their tired arms on the height adjustable armrests after a long day out. If your little one gets their hands mucky and decides to smear them all over the seat, then you're in good hands. All covers are completely machine washable for added convenience for you. Fabrics of this car seat include EPS, energy absorbing foam for effective impact energy management. This high back booster is perfect if you regularly move between cars for travel. This is because it's lightweight and easy to transport, which is brilliant for parents with bad backs or achy joints from running around after kiddies. What's more, this Group 2/3 Car Seat from Graco features belt guides which helps you correctly position your vehicles seat belt over your child, so that they're strapped in tight! This car seat has been rigorously crash tested to meet and exceed UK and European safety standards. Graco offer a 1 year Manufacturers Warranty on all products from the initial date of purchase. Applies to UK mainland only.